Samsung’s 10th anniversary Galaxy smartphone has been leaked yet again ahead of its February 20 launch. The Samsung Galaxy S10 , Galaxy S10 Plus and Galaxy S10e are three models that will be unveiled at the Samsung’s Unpacked event. The recent leak from Evan Blass on Twitter has however revealed the final design of the smartphones. 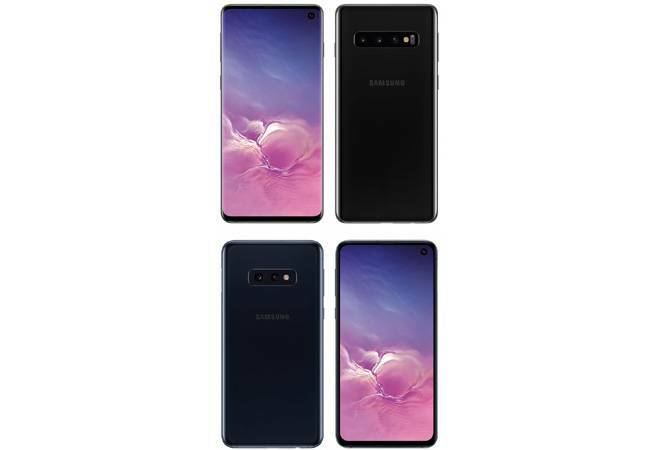 In the tweet, Evan Blass showed both front and back renders of the standard Galaxy S10 flagships and the cheaper Galaxy S10e variant. The images show non-existent side bezels and a thin top and bottom bezels. There are multiple cameras at the back and those ‘punch hole’ selfie cameras on the front. Both S10 and S10 Plus will have in-display fingerprint sensor. Meanwhile, the Galaxy S10e will come with a dual rear camera set up along with an LED flash and a side-mounted fingerprint scanner. There could also be a limited edition of the Samsung’s Galaxy S10 Plus. The limited edition Galaxy S10+ could have a scratch resistant ceramic body. The back of the regular Galaxy S phones will be made up of glass. There will also be a Type-C port, a speaker grille and a 3.5mm headphone jack. Samsung’s tenth anniversary phones will be available online on Flipkart, in addition to the Samsung’s e-shop and other offline sales channels. Flipkart has already started teasing the Galaxy S10 launch with a dedicated notify-me page. Media reports are suggesting that the Galaxy 10 series phones will be priced aggressively with Galaxy S10 to be priced in the range of Rs 60,000 – Rs 65,000. The price of Galaxy S10e could start at around Rs 50,000, while the bigger S10 Plus could be priced at around Rs 75,000.